New Paintings with Molded Frames "VENICE"
I have painted a pair of paintings Romantic Venice,and hand molded my own frames, they are wired and ready to hang. We just love the watery canals and gondoliers of this old romantic place in Italy. 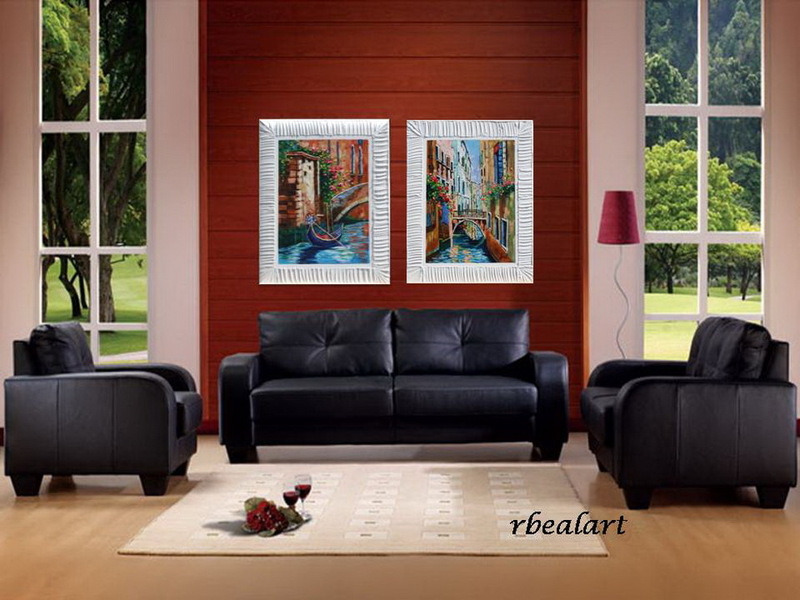 I wanted to add value to the art and savings to art lovers by producing some paintings that not only go together in a grouping but are also framed and ready to hang. If you love Venice or have just vacationed there, you can have a wonderful memory in the richness of oils to enjoy every day.